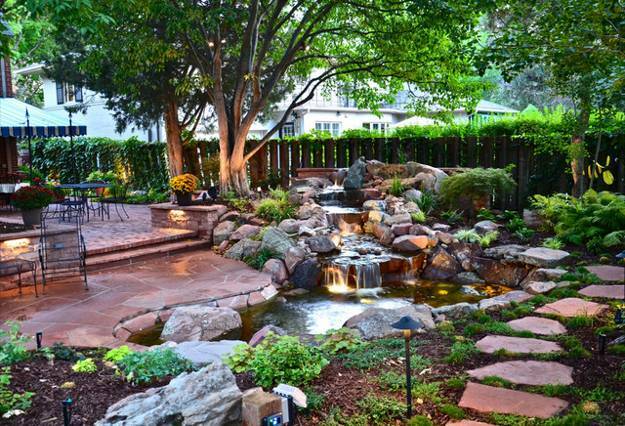 Backyard or front yard landscaping ideas that include water features create fabulous outdoor living spaces, improve curb appeal and increase home values. 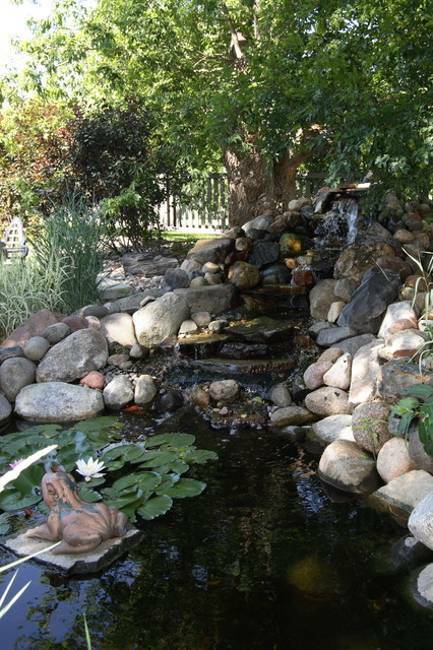 Water features are great for outdoor home decorating and home staging. 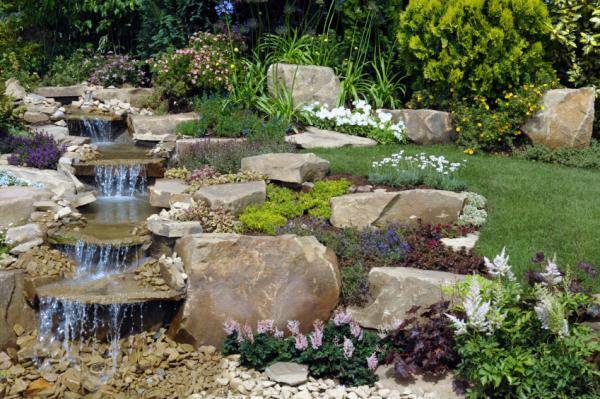 Contemporary waterfalls, that enhance modern house design and yard landscaping, are gorgeous and tranquil water features, but natural looking waterfalls that boundlessly merge with the surroundings are the most charming and attractive. 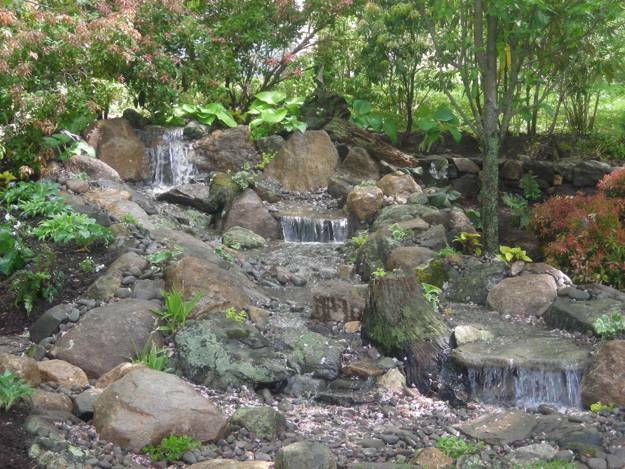 Lushome collection of beautiful waterfalls provide great inspirations for simple and creative natural backyard and front yard landscaping. 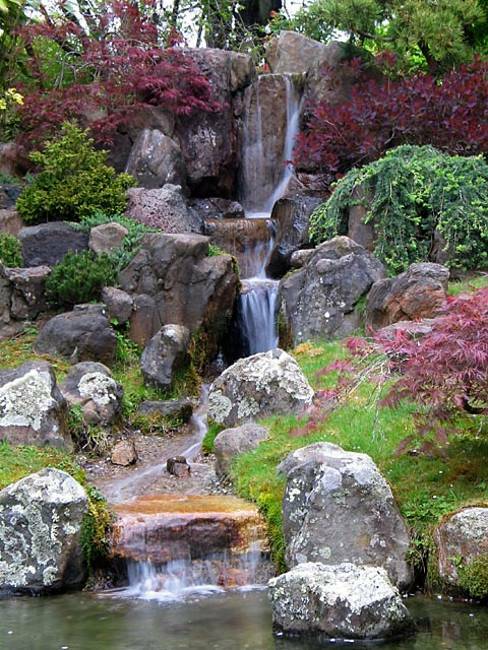 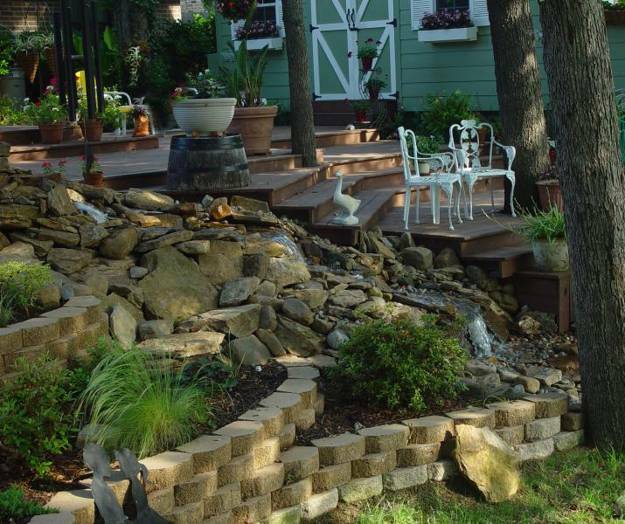 Natural waterfalls create a relaxing effect and add charming elements to backyard and front yard landscaping. 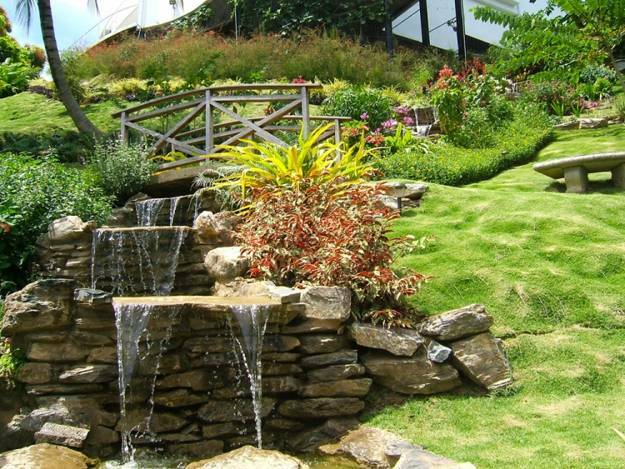 The pleasant feeling that you get from hearing a waterfall brings tranquility and peace. 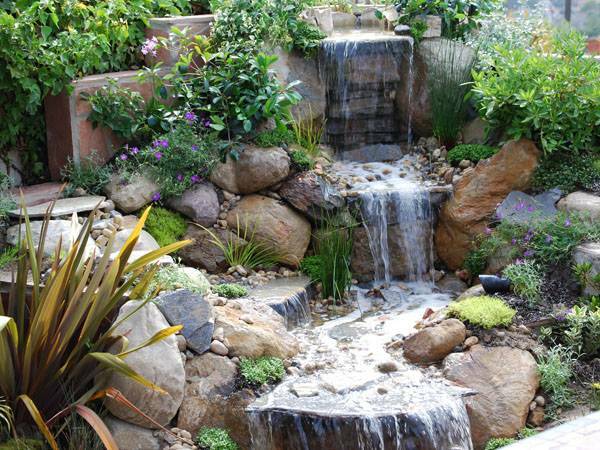 Water features add great forms of meditation to landscaping ideas, and help reduce the stresses of the day. 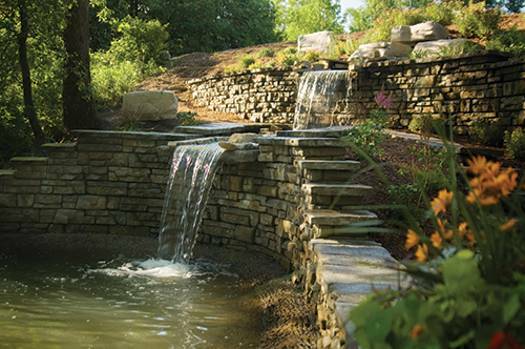 The beauty and functionality of waterfalls create spectacular and inviting outdoor living spaces. 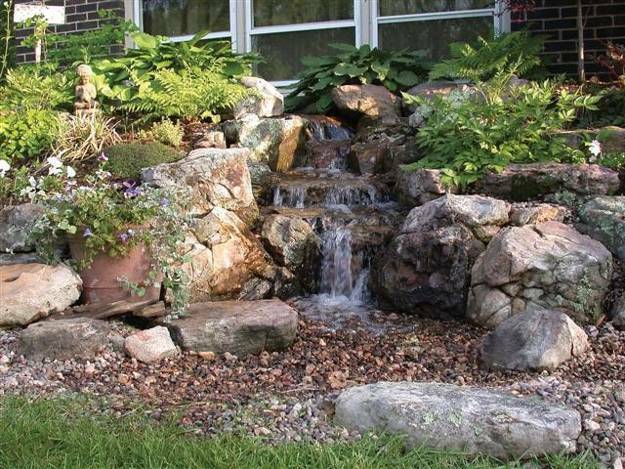 Natural waterfalls, water fountains and ponds can attract a variety of birds and small animals, creating eco friendlier backyard and front yard landscaping. 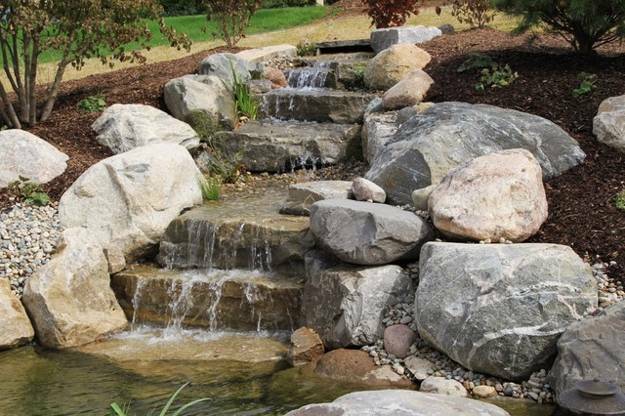 There are many different design styles, materials and sizes to choose from when you decide to add a waterfall to your yard landscaping, but all waterfalls are amazingly beautiful water features that increase home values and create more pleasant and welcoming outdoor living spaces. 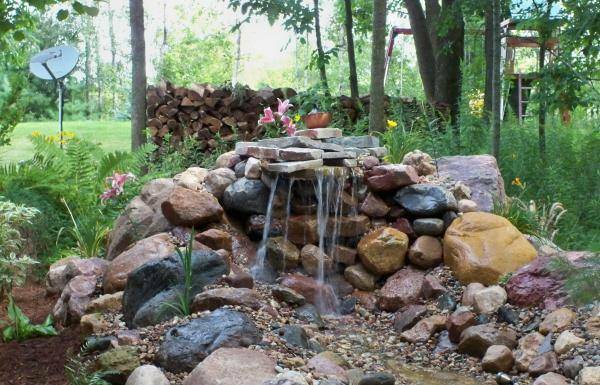 You can do some DIY projects or hire professionals come in and build a natural waterfall for you. 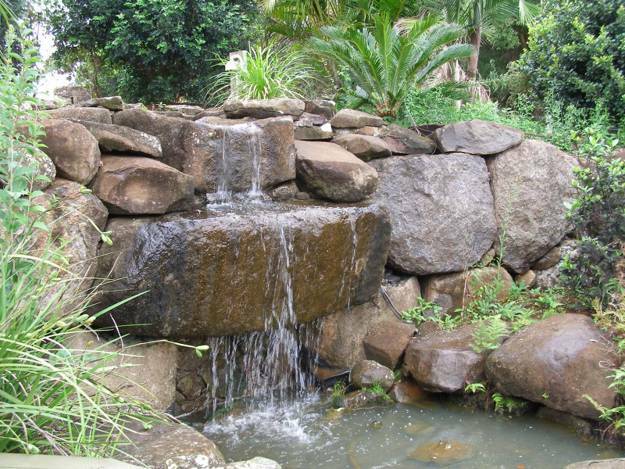 Some waterfalls and ponds are complicated and hard to design and build. 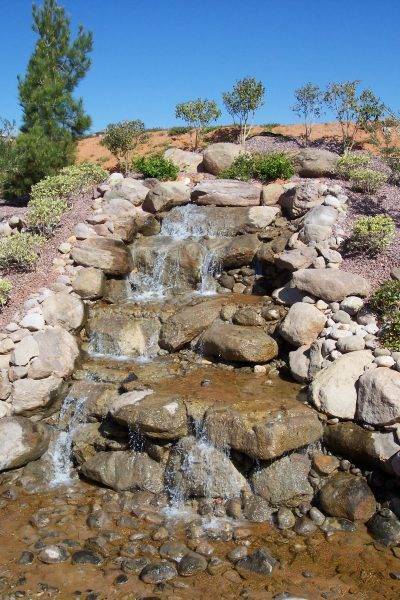 The Lushome collection of beautiful large and small natural waterfalls can help you decide which water features and design ideas are the best for your outdoor living spaces and yard landscaping projects. 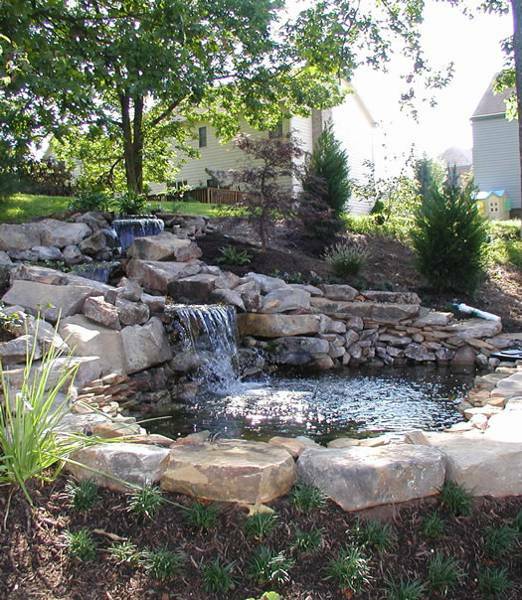 Natural water features, like waterfalls and ponds, contemporary swimming pool fountains and waterfalls have initial investment costs, but they create better outdoor living spaces and add spectacular centerpieces to yard landscaping which are worth your money. 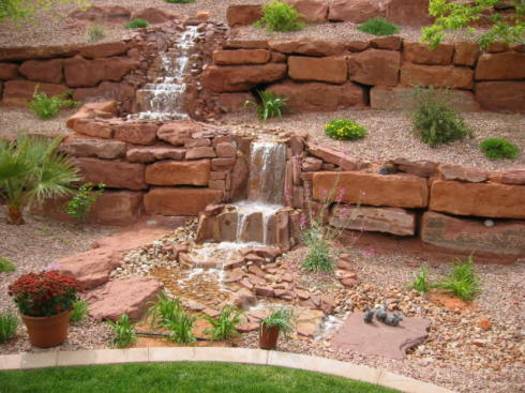 Water features improve the home values much more than you spend on building a waterfall or pond, or installing a water fountain. 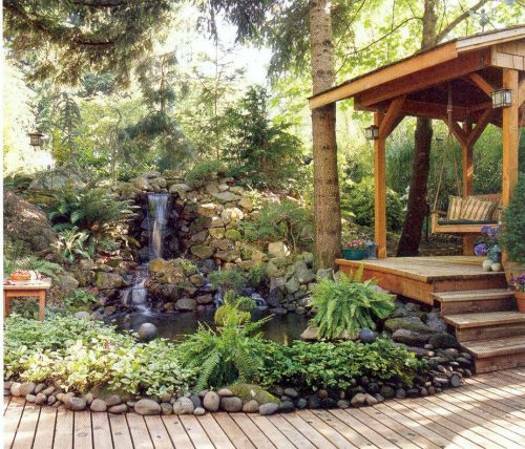 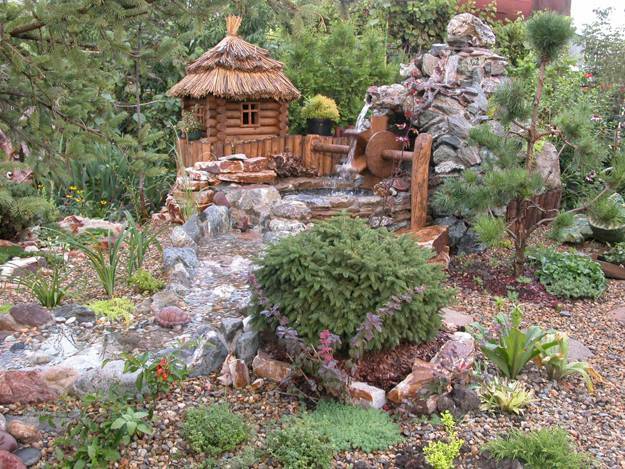 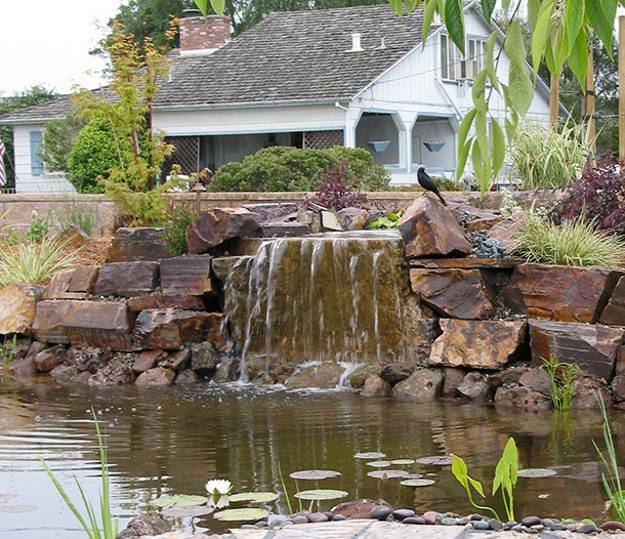 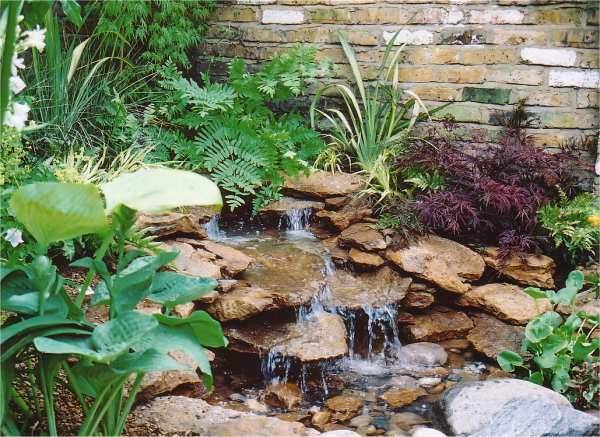 A pond, water fountain or waterfall makes a great addition to backyard and front yard landscaping projects. 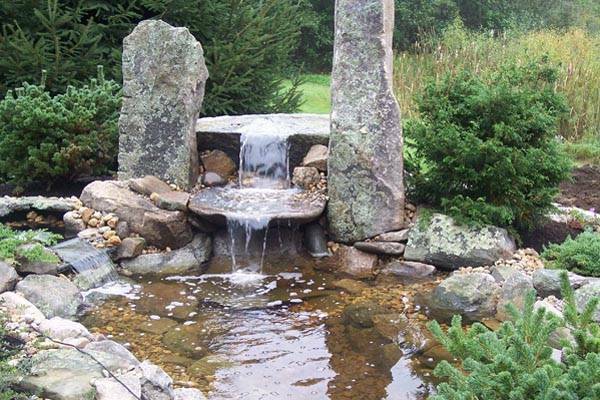 Water features provide years of calming pleasure, relaxation and enjoyment, and create tranquility in your outdoor living spaces. 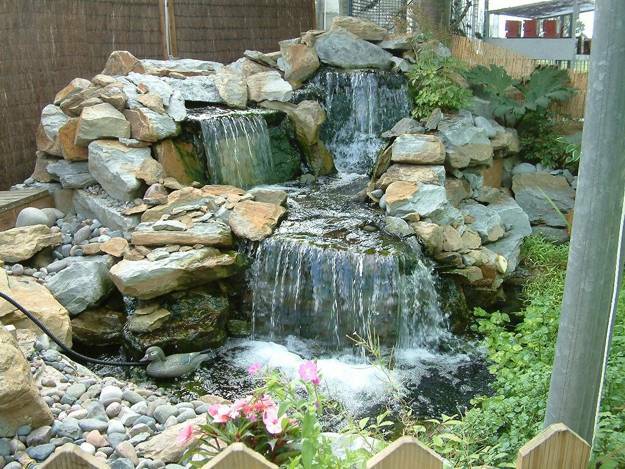 Natural water features, like waterfalls and ponds are very popular backyard and front yard landscaping ideas that bring a little extra comfort and peace into your outdoor living spaces and help create peaceful, eco friendly and beautiful environment.